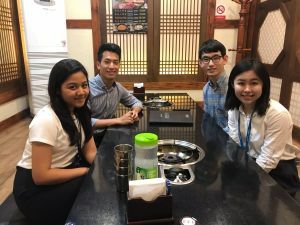 In July 2018, Dr Daejeong Choi led myself and 19 other students to the vibrant city of Seoul, where we embarked on a two-week consulting experience. My expectations had been set high by previous students who had completed this subject, and I was dying to get out of the Melbourne winter. After my exams in June, I was looking forward to having Korean food with soju and experiencing the thriving nightlife of Seoul. On our first night in Seoul, Dr Choi took us to a Korean BBQ restaurant. 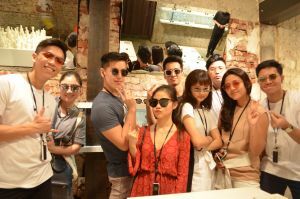 A few of us stayed out in Hongdae, a hip, bustling university town, and found the city still buzzing well into the night. Every evening, we saw a variety of people ranging from students to businessmen, out until late, conversing over food and drinks. This was indicative of the demanding hours and work culture for many Koreans. 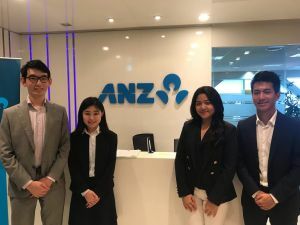 Our team of four were placed at ANZ, where our task was to analyse the impact of financial commodity prices on several Korean conglomerates. 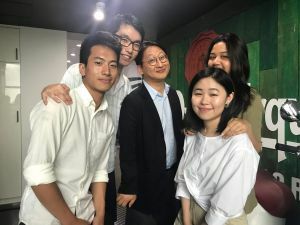 We were lucky to receive guidance from the team at ANZ Seoul, who offered their support at every stage of our project. 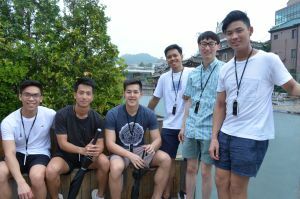 We worked closely with the Chief Operating Officer, who checked in with us at the end of each day and gave us tips on how to best enjoy our time in Seoul. - The team outside the ANZ office . Our team worked very well together, and each member contributed their unique skills to the project. A few of our team members had participated in case competitions during their degrees, like the International Case Competition, which proved to be invaluable in developing the structure of our presentation and formulating our recommendations. Our project was finance-heavy and involved drawing the use of our financial and technical analytical skills. We learnt from one other, sharing experience whilst improving our communication and teamwork skills. Our final presentation was quite nerve-racking, as we delivered our recommendations to senior management that included the Chief Executive Officer and Chief Operating Officer. We pushed through and were pleased with our delivery and content. The team received valuable feedback on our analysis and presentation style. We will be sure to apply this feedback to future presentations. Take a taxi if you’re in a group! Taxis are cheap in comparison to Australia, so it is more cost-effective than buying individual train tickets when travelling as a group. This experience has given me a taste of working in a foreign country. I also feel confident that the skills I developed from my Bachelor of Commerce and other co-curricular activities are of a high standard and can take me anywhere around the world. The GMC was an unforgettable experience and easily one of the highlights of my degree. How would you describe Global Management Consulting (GMC)?